For the last few months, the team at the Martello Tower Group have been hard at work preparing for our DXpedition to Herm in October 2013 and the time has just slipped away. We’ve had two large tasks for this year – One of them was to prepare a set of bandpass filters and I’ve documented that on my own personal blog which you can read by clicking here. The other main task was to build our own aerials ready for the trip as opposed to borrowing them again as we did in 2012. M0YNK decided on an unusual former for our common-mode chokes, or ‘ugly baluns’. Sweet jars. Of course, that meant that as we need four chokes, he had to eat his way through four jars. I think 2E0DBY helped! The style of these chokes means we can carry the radials inside the jar and they just need to be removed, unwound and clipped on to the radial ring. Easy. 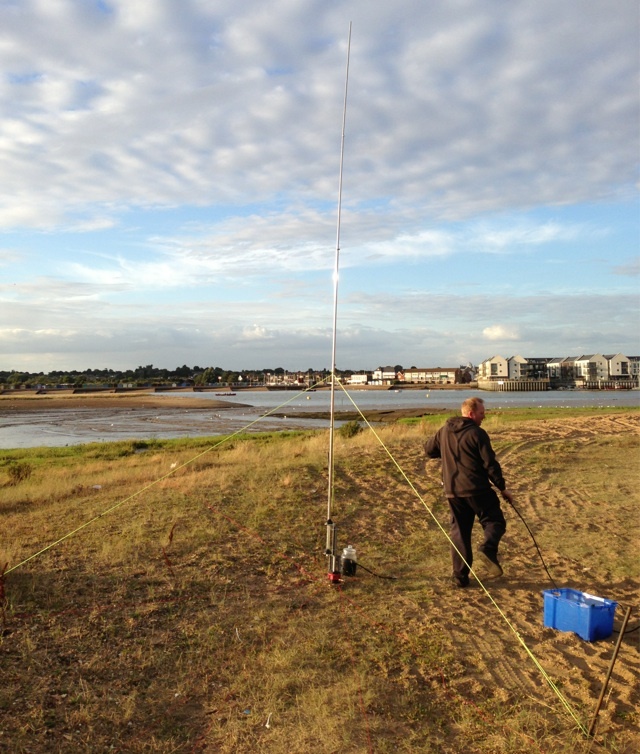 The first aerial we tested on the beach near the Martello Tower was the 40m vertical, using a 12m Spiderpole. 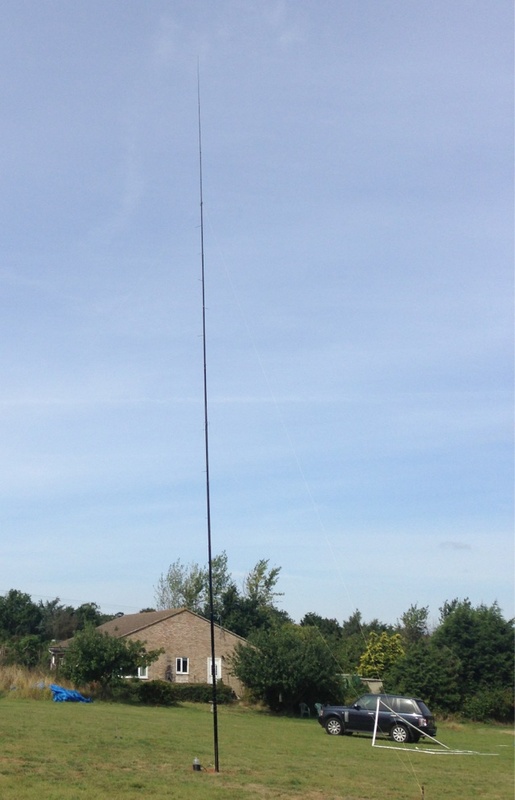 Next we set up one of the aerials to be used for 20m and 15m. 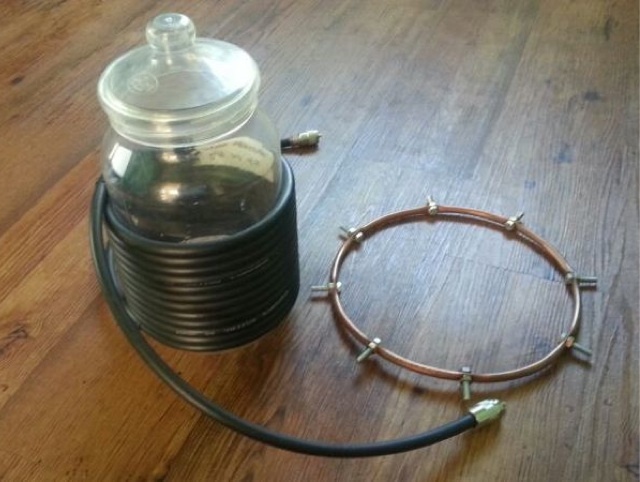 The construction of these two aerials are exactly the same, being made from old CB aerials with the loading coils removed. They can be used for any of the four bands from 20m through to 12m simply by loosening a jubilee clip and adjusting the length. 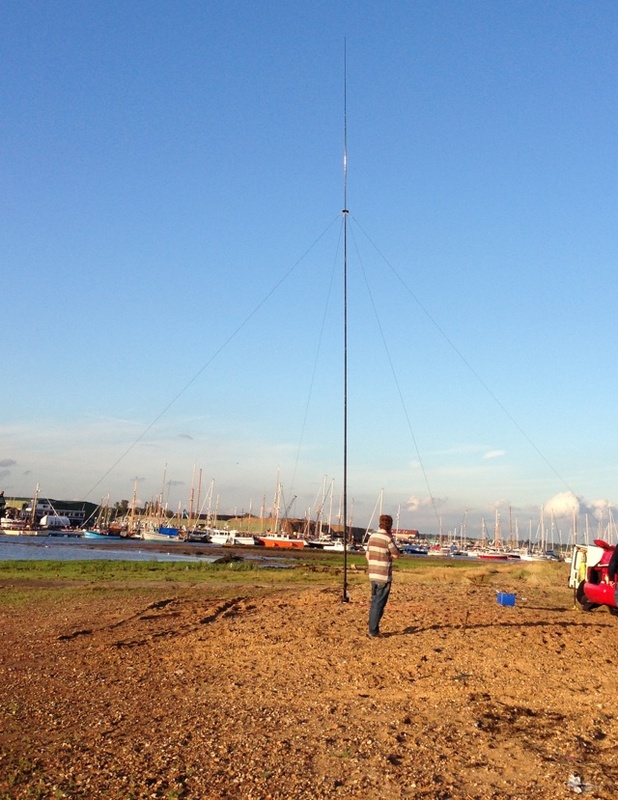 Finally we wanted to get the 80m vertical tested. Last year we knew that it had taken around two hours to put the 18m Spiderpole and 80m vertical up and so we needed to practise. Our first attempt could have been disastrous as we tried it without any guys attached (they’d been left behind) and as there was a steady breeze that evening, this is what happened. It did prove the concept that we’d hoped to use – We could mount the pole in place and then lift it up section by section with people holding the guy ropes. 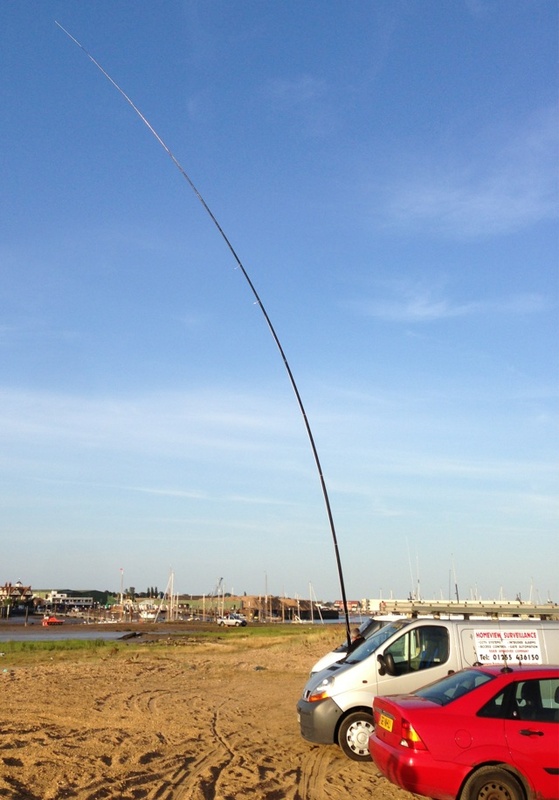 Today we put the aerial up properly and everything went well with our total time spent being about an hour. 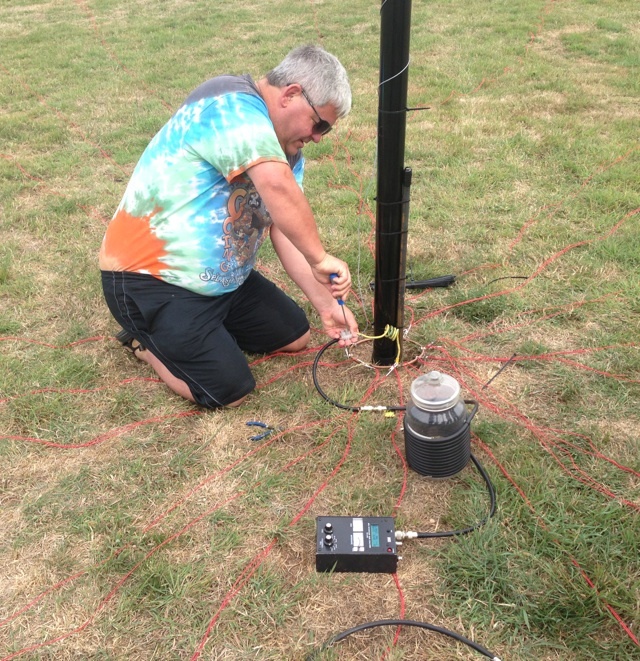 This entry was posted in Amateur radio, Herm DXpedition and tagged Herm. Bookmark the permalink.